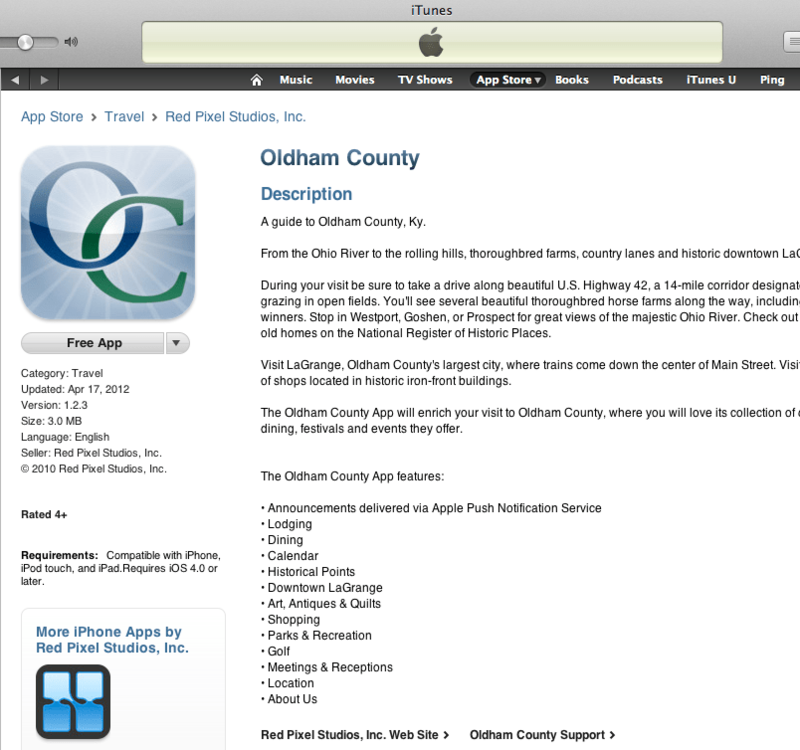 While you’re on the go, stay connected locally with the Oldham County iPhone App! You can find out more about what’s going on across Oldham County, from Brownsboro to Westport, Goshen to Crestwood, La Grange to Prospect… and everywhere in between. Look for a local spot for your next dinner date with the app’s dining feature. Find a place for out of town guests to stay. Learn about historical places and Downtown La Grange. An events calendar will keep you up to date on the latest happenings. If you’d like, the app will automatically send you new updates and info, making it so simple to experience all that Oldham County has to offer. Take Oldham County with you wherever you go. Best of all – it’s free! Check out the iTunes Store for more information and instructions on how to download.